It’s not operational; however, the current setup would have allowed it to rotate a locomotive (or four or five large African elephants, for that matter) or move the locomotive platform to connect to three different tracks, probably to repair facilities and so forth. This yard was set up in 1917 by the Chesapeake and Ohio Railroad. 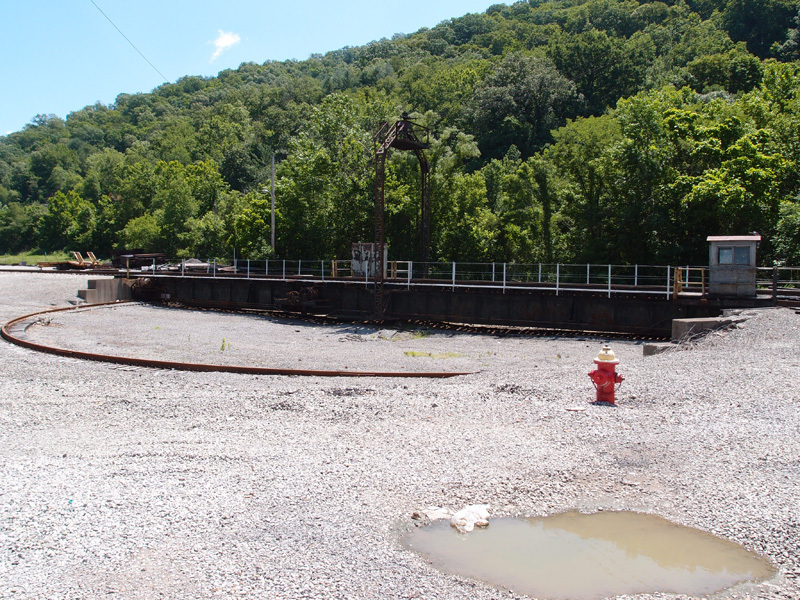 It’s now maintained by CSX.